The specified file temporary://filewgnYIu could not be copied, because the destination directory is not properly configured. This may be caused by a problem with file or directory permissions. More information is available in the system log. 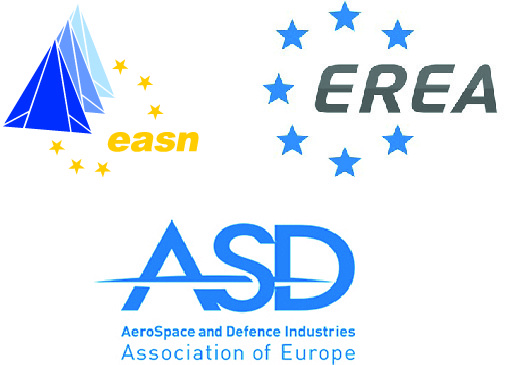 The EASN Association, the Association of European Research Establishments in Aeronautics (EREA) and the AeroSpace and Defence Industries Association of Europe (ASD), unified their forces and signed recently the Joint Paper on Aeronautics Research and Innovation in Horizon Europe. 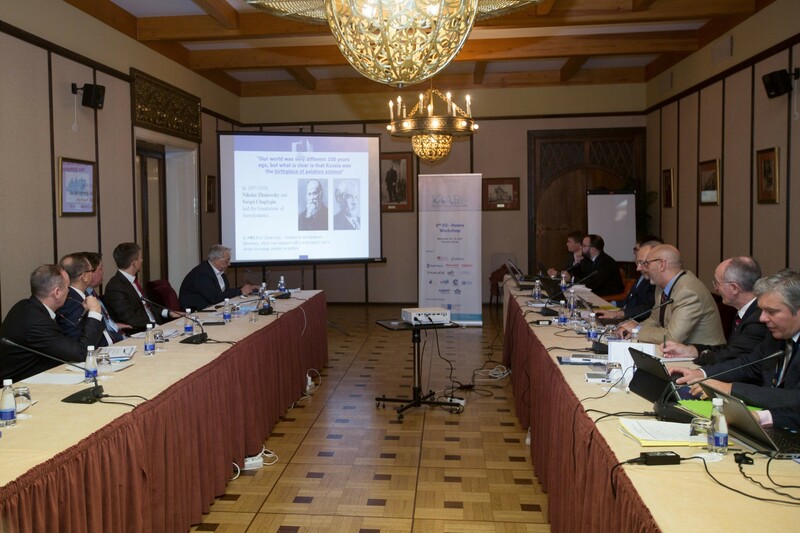 This crucial joint engagement demonstrates the common vision and goals of the stakeholders regarding the coherence and coordination of Research and Innovation actions in the European Aviation. In this frame, the Joint Paper on Aeronautics Research and Innovation in Horizon Europe, which can be found here, is accompanied by short interviews of Dr. Jan Pie, Secretary General of ASD, Dr. Catalin Nae, EREA Chairman and Prof. Spiros Pantelakis, EASN Chairman, who share their thoughts on the importance of this joint approach and give some more specific viewpoints of the stakeholders, To find and read the interviews click here. This year, for the first time, the EASN Association will convene, in Greece! The upcoming 9th EASN International Conference on Innovation in Aviation & Space will be hosted at the National Center for Scientific Research (NCSR) “Demokritos”, in Athens, Greece, between the 3rd and the 6th September 2019. The Conference is co-organized by the EASN Association, the University of Patras and the National Technical University of Athens. It will be performed with the kind support of the Clean Sky Joint Undertaking, the Greek Aeronautical Community, i.e. the Hellenic Foundation for Research and Innovation, the Hellenic Aerospace Industry (HAI), and the Hellenic Space Technologies and Applications Cluster (si-Cluster). The Aviation & Space sector is of paramount importance for Europe’s industrial competitiveness. In this frame, the 9th EASN International Conference will give the opportunity to scientists and researchers from all over the world to present their recent achievements in a series of thematic sessions, organized by internationally recognized scientists. So far, the event has attracted a considerable number of presentations, whilst more than 45 thematic sessions have been confirmed, covering a series of topics, satisfying the scopes of this event. Furthermore, more than 15 research projects have already been included in dedicated sessions, exploiting the opportunity to disseminate their results and achievements. An indicative list of the, so far, confirmed sessions can be found here. Moreover, during this four-days gathering, and as the preliminary agenda of the conference is now shaping up, a number of distinguished personalities of the European Aviation and Space Sector have confirmed their participation so as to update the delegates on the future industrial trends and the European priorities with respect to the medium and long-term goals. More information, regarding the key-note speakers will be announced soon! Athens is an ideal conference destination, combining state-of-the-art infrastructure, excellent conference facilities and easy access from all over the world with world-class cultural attractions, modern amenities, diverse entertainment and natural beauty. Therefore, all intended participants are encouraged to take care of their accommodation, the sooner possible, as the time of the event is in a high touristic season for the city and last minute booking for the accommodation might be difficult. Tips and suggestions concerning Athens and accommodation may be found here and here respectively. The 9th EASN International Conference is the successor of the EASN International Conference which was held in Warsaw, Poland between 26th and 29th of September 2017 and gathered more than 300 participants, scientists and representatives of the European Aviation community, including industry and research establishments. Like its predecessors, it is expected to be a major European Dissemination and Exploitation event of Aviation & Space related research, while in parallel will act as a forum where innovative ideas, breakthrough concepts and disruptive technologies are presented. The EASN Association is glad to announce the revitalization of the role of the National Contact Points (NCP’s). EASN has currently over 350 active members, including a big number of individuals, many University Laboratories as well as a number of aeronautics departments and Universities. It reaches in total about 15.000 researchers, mostly from Academia, all around Europe. Therefore, EASN represents an excellent base for drastically facing fragmentation of Academia in Europe and increasing the academia impact within the European aeronautical society. In this context, EASN revamps the role of National Contact Points (NCP’s) willing to establish permanent and strong connections between the Association and the respective national actors. NCPs will be EASN’s direct contact link and at the same time the entrance point for co-operation requests. The detailed role of the National Contact Points can be found here. The EASN NCP Team will officially launch its activities, during the 1st EASN NCP meeting which will take place in Barcelona, Spain, on the 1st of February 2019, at the CIMNE premises. In this kick-off meeting the EASN NCP members will set the pace for the first steps and actions of this initiative. More information regarding the National Contact Points can be found here. One of the main objectives of the EASN Association, is to support the research activities of European Academia in the field of aeronautics in order to incubate technological innovation and to disseminate knowledge. In this context EASN is proposing ASTORIA, a research infrastructure based on modular Unmanned Aerial Systems targeted at open Research and Innovation Actions in Europe. Within the EASN board of directors Andreas Strohmayer, together with Helge Pfeiffer and Spiros Pantelakis, has taken the lead of this initiative to take it to a next step. Prof. Andreas Strohmayer, member of the Board of Directors of EASN as Industrial Advisory Officer, gives the rationale behind this initiative of the Association. Read the full interview on the EASN Website respective page. In the forthcoming June, the next Continuous Professional Development - CPD Seminar on Bonded Composite Repair of Aircraft Structures: Contemporary Challenges and Latest Innovations will take place at the “Le Bourget Aerospace Museum”, in Paris, France between the 18th and the 20th June, 2019. The CPD Seminar is co-organized by the EASN Association and GMI Aero, the leading European composite repair equipment manufacturer. The CPD Seminar is focused on the contemporary repair challenges and the latest innovations in equipment and methodologies, taking into consideration the fact that the recent venue of all - composite fuselage aircraft (A350 –B787), together with the expansion of older aircraft fleets, introduces new requirements in bonded composite repair. Mr. Philippe SERVANT, Responsible for Engineering, Research and Development of Aerostructures, AFI KLM E&M, who will share his viewpoint on the Technical Challenges and Innovations in Bonded Composite Repair of Commercial Aircraft. The course is offered to a strictly limited number of participants so as to make a condensed and intensive course manageable and at same time ensure interaction between the trainers and the attendees and an in-depth understanding of the matter of the course. A “first come first served” policy is applied and in this context, we encourage you to take care of your registration as soon as possible. Participants will have the opportunity to join an optional visit to Le Bourget Air Show on a Date reserved for Professionals (20/6). For registering to the upcoming CPD Seminar on "Bonded Composite Repair of Aircraft Structures: Contemporary Challenges and Latest Innovations" please click here. For the latest agenda, the venue and the registration fees please visit the CPD Seminars webpage. An innovative, new predictive tool that allows fast exploration, identification and design of new thermodynamically stable multi-component nanocrystalline (nc) metal alloys with enhanced thermal stability, was developed by the scientists of the ICARUS project. This new tool, namely the High-Throughput Screening (HTS) tool, can be implemented in high-performance computing systems ensuring fast and efficient alloy exploration and selection. In the frame of the project, which aims at discovering an entirely new class of multi-component nc metal alloys resistant to coarsening with properties specifically tailored to application, a systematic exploration for identifying potential thermodynamically stable alloys has been performed with the support of the HTS tool. Entering the final semester of its lifetime, ICARUS progresses its pace at research and innovation towards obtaining cutting-edge results. On the 13th and 14th of December, 2018 the ICARUS Consortium conducted its M24 Progress Meeting in Treviso, Italy. The two-day project meeting was an opportunity to discuss on the latest scientific and technical achievements, the overall progress of the project, exchange ideas and agree on next steps. We cannot end this article without mentioning the publication of a new open-access scientific paper of our colleague K. Tserpes, under the title “Prediction of mechanical properties of nanocrystalline materials using Voronoi FE models of representative volume element” in the proceedings of the 8th EASN-CEAS International Workshop on “Manufacturing for Growth & Innovation”. For more information and updates on the project please visit the ICARUS website and the ICARUS dedicated videos. 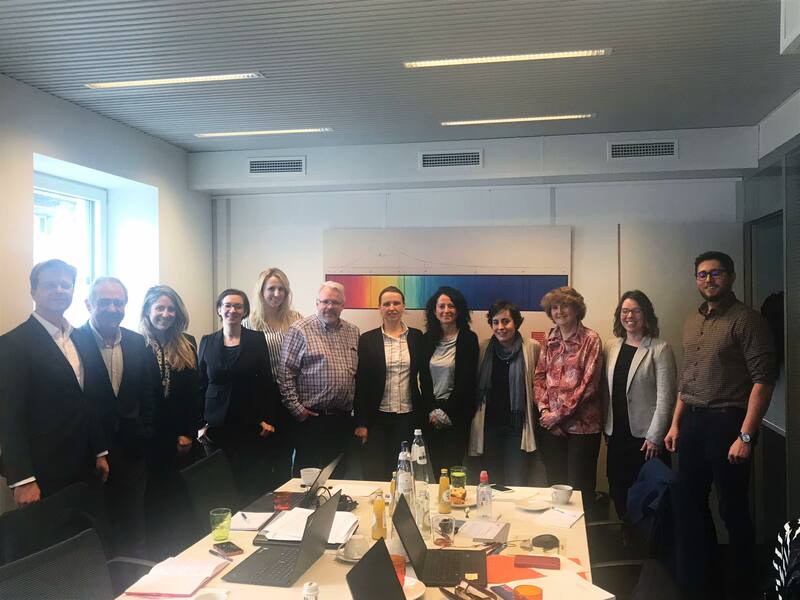 On the 27th and 28th of November, 2018 the NHYTE Consortium successfully conducted its M18 Progress and Review Meetings respectively in Brussels, Belgium. In the latter, the important work performed during this period was presented to the EC authorities. The European Commission Project Officer and the EC reviewer provided their valuable feedback to the NHYTE partners and concluded that important work has been accomplished during this period. Additionally, during November 2018 the scientific paper of our project colleague Ch. V. Katsiropoulos (LTSM) entitled “Environmental and financial performance evaluation of a helicopter's canopy production using different materials and manufacturing processes” was published in the proceedings of the 8th EASN-CEAS International Workshop on Manufacturing for Growth & Innovation, and is available for open-access view here. Lastly, if you are interested in learning more about the science and technology powering NHYTE activities, the interviews of Dr. Marco Barile, coordinator of the NHYTE Project and CTO of NOVOTECH s.r.l and of Prof. Leonardo Lecce, CEO of NOVOTECH s.r.l. are available here. To stay updated- follow www.nhyte-h2020.eu. The EFFICOMP project is now close to the end of its three-year lifetime and so far all planned activities are running as initially foreseen in the project roadmap, while all important milestones have already been achieved. 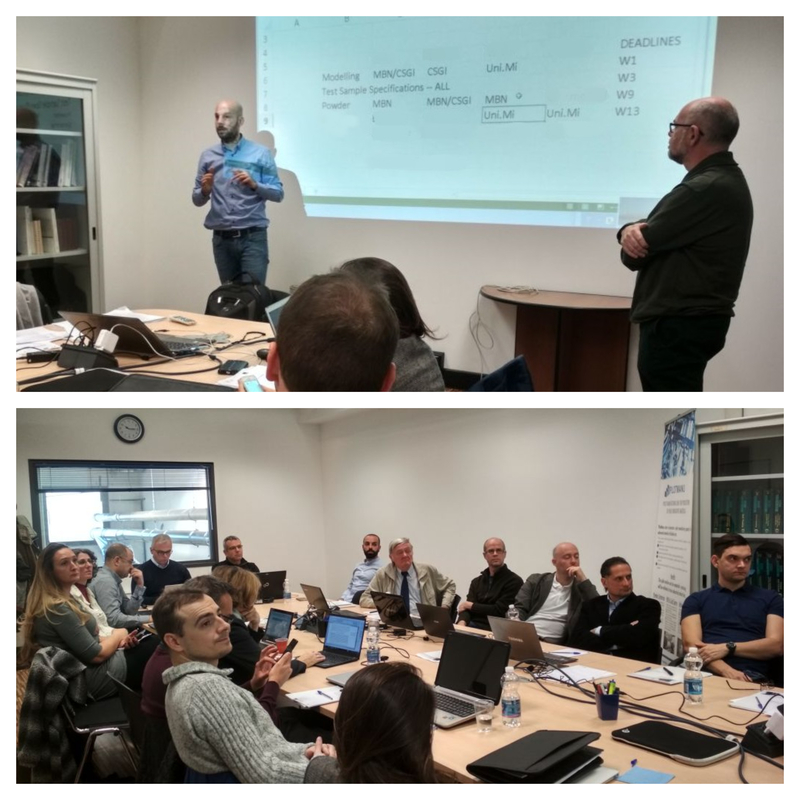 During the EFFICOMP M33 Progress Meeting, which took place on 17th of January 2018, the main scientific results and technical achievements as well as the overall progress of the EFFICOMP project were presented and discussed among the partners. In the same time, the EFFICOMP consortium is organizing its upcoming final EFFICOMP meeting, which will be held in Nagoya, Japan from 19th to 20th March 2019. In this meeting, the EFFICOMP project will showcase its final results for innovative and cost-efficient methods which will increase the production rate of composite parts, contributing to the increased utilization of today’s aircraft and opening the way for the fast-track, greener aircraft of the future. More information about the EFFICOMP progress and latest results is available on the project’s official website. A business traveler seat that focuses on efficiently meeting the preferences and the essential needs specific to short and medium range flights, along with light and simple structure to achieve benefits such as lighter weight and increased pitch, while providing an excellent travel experience. A bench-style economy seat with light structural solutions, along with features providing comfort and convenience to the travel experience. This includes a wider middle seat usable for example by single passengers, families or able to provide comfort to people of stature. This wider middle seat may be occupied by three adult persons or two persons of size or even a family with two small children. This concept provides increased seat pitch with measures to prevent decreasing the level of comfort. Utilization of unused cargo space for a lower deck lounge space, improved lavatory experience, and modular immersive experience containers providing novel passenger experiences that create ancillary revenue and support airline brand superiority along with cobranding and collaboration opportunities with desired brands. This final month of the project will be concluded by the FUCAM Final Event that will be held in FUKURACIA Tokyo Sta. (Room D), in Tokyo, Japan on the 23rd of January, 2019 from 9:00 until 12.00 am. In this frame, the Consortium of the FUCAM project has the pleasure to welcome visitors to experience the concepts developed over the 3-year span of the project and get an overview of the activities and insights in the scouting on future technologies and passenger & market research. For more information and updates please visit the FUCAM website and watch the FUCAM video. At the time of our last update, the SARAH project had approached its second anniversary (a second full year of operations). We are now in a “perfect storm” environment of the most impactful period of the project’s technical progress towards establishing novel holistic, simulation-based approaches to the analysis of emergency aircraft ditching. During the past months, the EU project has been strongly engaged in many events. After the successful organization of the High Speed Ditching Facility (HSDF) Inaugural event, the SARAH consortium welcomed visitors at an Open Day event that took place in Ecole Centrale Nantes and CNRS premises on the 6th of December, 2018. 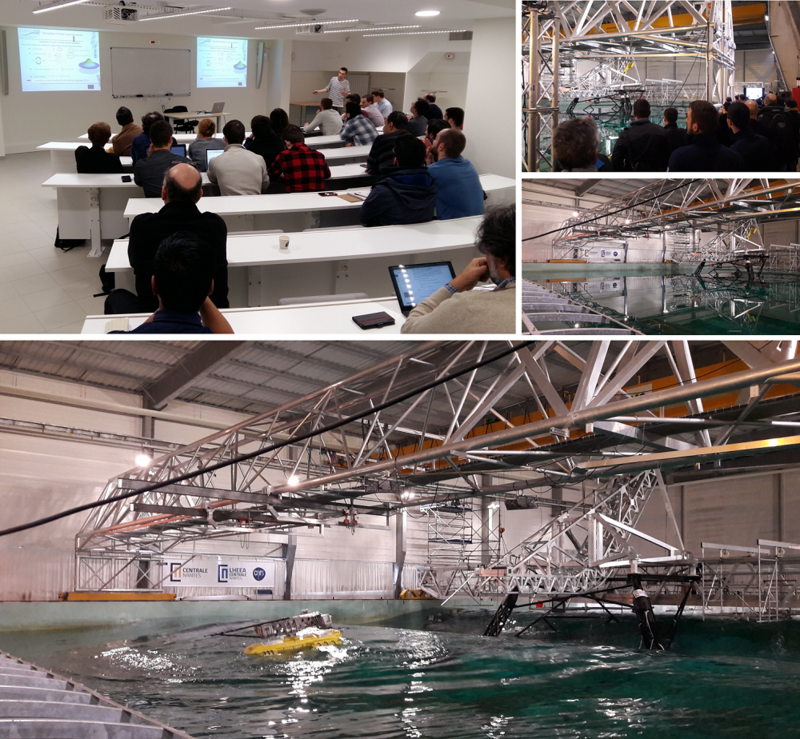 This event was a fantastic opportunity to showcase a new helicopter ditching facility that was designed, built and operated to study loads and motions of helicopters during the impact phase in calm water and in waves. With this facility, it is possible to study realistic ditching scenarios, predict the resulting structural loading and response, and validate numerical models of ditching. During the event innovative numerical simulation methods developed by Ecole Centrale Nantes to address this topic were also presented, as well as other important experimental and numerical developments conducted by the project partners. Last but not least, the SARAH colleague David Le Touzé, Deputy Director of LHEEA CN CNRS gave a very interesting interview, introducing the research activities of the project which is available for view here. For accessing the SARAH open-access scientific publications, please visit the ZENODO SARAH Community. For more information about the project please visit the SARAH website. European Aeronautics and Air Transport (AAT) research covers the scale of Technology Readiness Levels (TRL) from level 1 to level 6. Experience shows that higher TRL usually goes with more strict protection of Intellectual Property Rights (IPR) which contradicts the concept of Open Science. However, IPR protection is a central pillar of competitiveness. Hence, implementation of Open Science requires a transparent trade-off with IPR requirements. OSCAR – Open ScienCe Aeronautic & Air Transport Research is a H2020 Coordination and Support Action of the European Commission that addresses the current perception, acceptance, and implementation of Open Science in the field of European AAT research and in those fields where European AAT research issues interact with e.g. other transport modes and technology exchange. 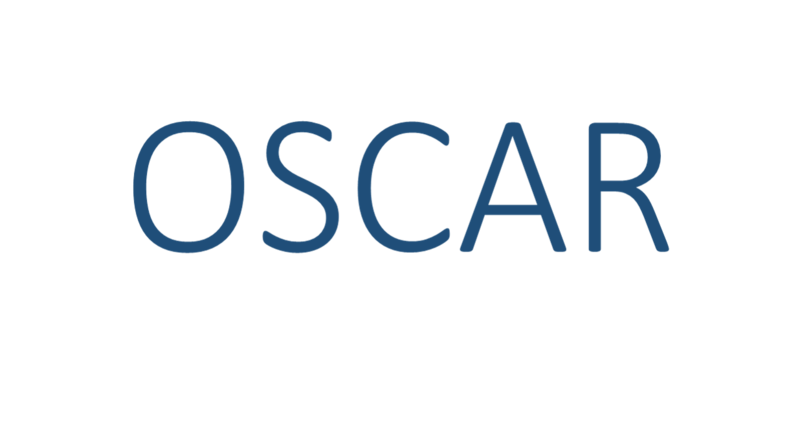 The main goal of OSCAR is to pave the way towards Open Science in European aviation research by detailed analysis of the landscape and by developing, validating, and promoting a suitable Open Science concept. The OSCAR team, composed by a balanced mix of 7 relevant expert organizations, i.e. Fraunhofer (Coordinator), EASN-TIS, INCAS, ONERA, University of Patras, SAFRAN and Thelsys, has successfully kicked-off its activity during a two-day meeting, on the 9th and 10th of January 2019 in Brussels, Belgium at the Fraunhofer premises. 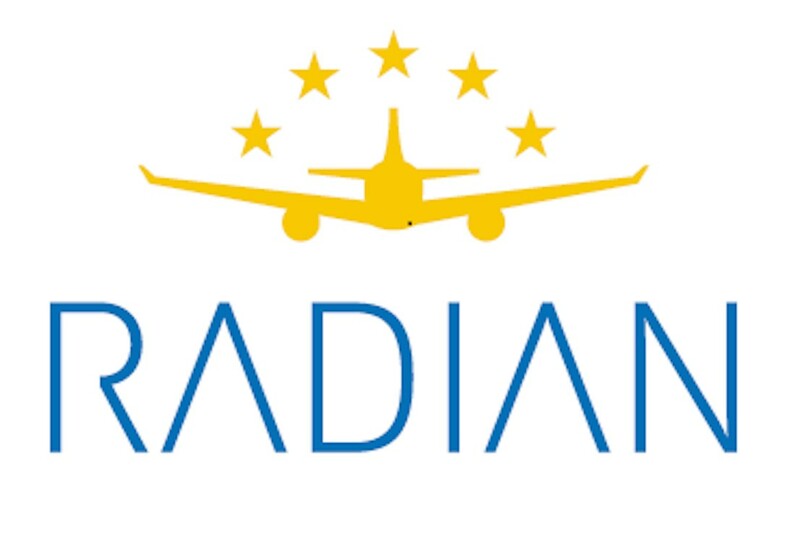 RADIAN (Facilitating Collaboration in ReseArch and Development to Foster Further Innovation in European AeroNautics) is a H2020 Coordination and Support Action of the EC that aims at achieving a more integrated European research environment in Aeronautics & Air Transportation. RADIAN is currently working on the development of an online platform, entitled ARCPORT and designed specifically for the aviation research community, which will promote collaboration, content sharing and networking opportunities among its users. ARCPORT is designed as a facilitator to the individual researcher, allowing him/her to locate other persons working on a specific technological area. At the same time, company-related profiles will be accommodated so as to allow the promotion of market-ready research results to potential end-users. In addition, one of the platform’s main strengths will be the provision of personalized information to each user, based on his/her interests (e.g. open calls, available international and national funding schemes, recent advancements etc.). ARCPORT will be publically available on March 1st 2019. Stay tuned!! Moreover, in the frame of RADIAN, a series of networking and coaching events have been successfully held in different regions in Europe, which allowed the RADIAN team to assess and understand the capabilities of promising AAT research related organizations. The output of said events will be used to prepare a report to the EC on existing difficulties and offer recommendations on how to overcome them. 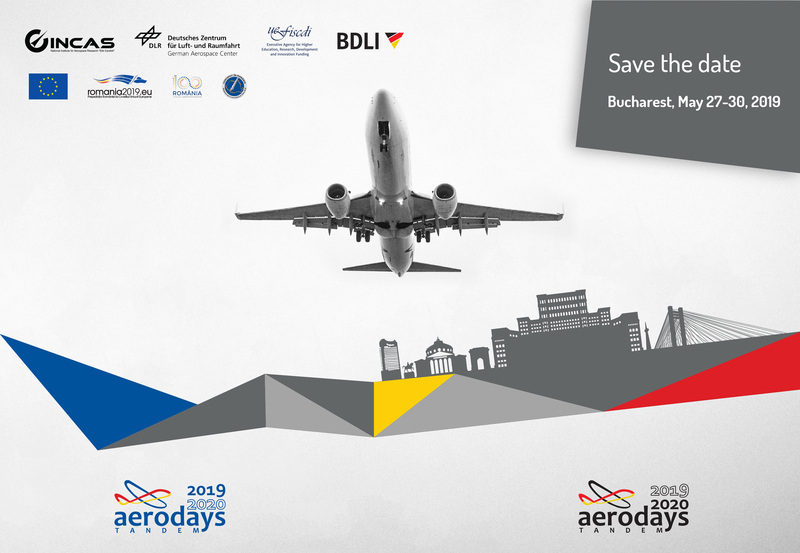 Lastly, RADIAN will hold a dedicated Workshop during the AEROdays2019 in Bucharest, with the participation of some major players and a lot of interested R&D organizations, universities and SMEs from the project’s selected regions. For more information and regular updates on the RADIAN Project, please visit: https://www.h2020-radian.eu/en. The beginning of 2019 finds ICARe with many achievements and, in parallel, with many challenges to face towards the permanent objective of fostering and facilitating the cooperation between Europe and 21 countries around the world in the domain of Research and Innovation (R&I) for civil aviation. A robust analysis of past and current international cooperation in aviation resulted in a “lessons learnt” kit that will be proved very useful for the future bilateral and multilateral discussions of Europe. The technology mapping survey in the 21 countries has preliminary identified the “golden nuggets” of potential future cooperation that will enhance the competitiveness of the European aviation sector. Meanwhile, bilateral discussions with the major players worldwide (USA, Canada, China, Japan, Russia) are planned. A lot of progress has been achieved by defining in more detail the topics of common interest. 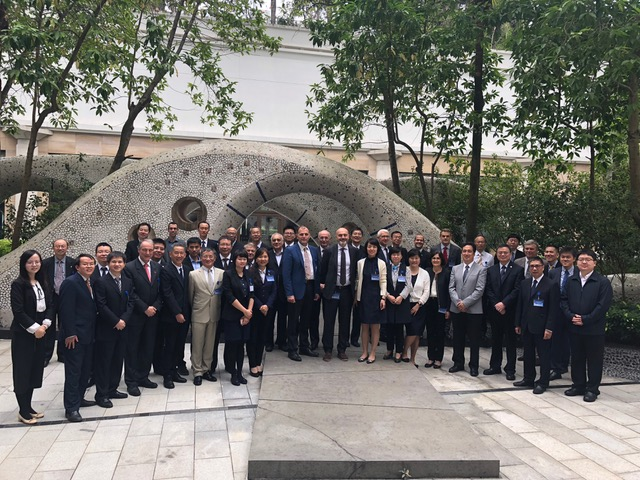 In this frame, another two dedicated workshops took place within November in China (5-7 November, Shenzhen, China) and Russia (27-29 November, Moscow, Russia) with the participation of all the stakeholders from both sides. The next challenge will be now the preparation of the first set of recommendation to the European Commission on the perimeter of the 21 countries in terms of interest for future international cooperation. Gathering the information obtained so far from the above activities, as well as from the elaborated country fiches, ICARe consortium will deliver in March 2019 its recommendations with regards to the forthcoming last call of H2020 Work Programme, as well as for the expected calls of Horizon Europe. Last but not least, the assessment of the 21 countries has been completed on the basis of benefits & risks with regards to the potential collaboration in the field of Aviation R&T. Based on this assessment, a ranking of the 21 countries has been achieved and it is now time to make the selection of the 6th ICARe platform. Which country will be the 6th one? The answer will be announced soon, so stay connected with ICARe project. For further information, please visit the ICARe official website. 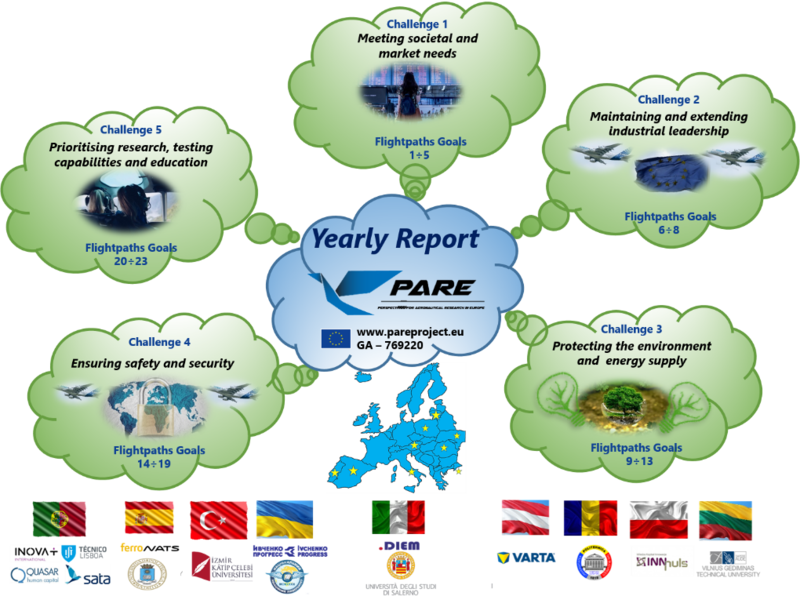 The overall objective of PARE -Perspectives for the Aeronautical Research in Europe - is to trigger collaboration between European stakeholders to support the achievement of the 23 Flightpath 2050 goals. The main objective is to assess within 3 yearly reports (YR) information concerning activities related to long-distance transport, potential for cooperation outside Europe, and relation with young talent and women in Aerospace. The YR will form the basis for an analysis of the main factors affecting the progression rates towards the accomplishment of the Flightpath 2050 goals, and in case gaps are identified, suggest means to overcome them. During the first year, the project developed roadmaps for each of the 23 Flightpath 2050 goals, available on website, indicating: the evolution from 2000 to 2015 (historic factual basis); the progress expected over the next decade; the remaining gap to be covered in 2025-2050. For more information please visit the official PARE project website. The MODCOMP project is now on its final year and in the next meeting the progress about aerospace demonstrators (part from the Horizontal Tail Plane, HTP, of commercial aircraft) within the framework of the project will be presented. Demonstrators have been designed to fulfil scalability towards industrial needs and focus on TRL5/TRL6. 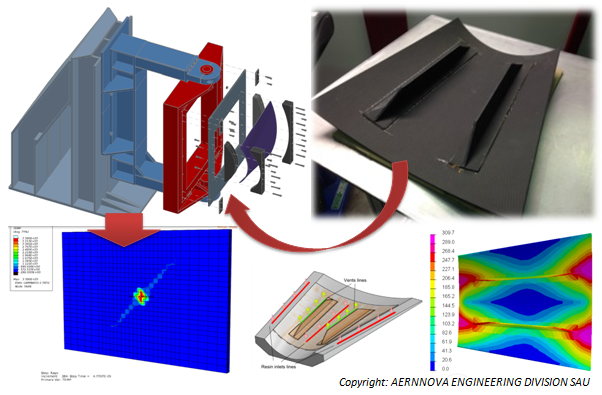 AERNNOVA Engineering Division SAU (AED) will undertake the development of aeronautical structural demonstrators. RNANO has provided functionalized carbon fibres and nanomaterials and AED will exploit the novel materials to develop aeronautical structural panels, aiming at improving interlaminar properties. Industrial and operational aspects are taken into account namely, specific requirements of the industry, cost competitiveness, manufacturing methodology, and weight savings. Find more information regarding MODCOMP project by visiting the following links: http://nanolab.chemeng.ntua.gr/, http://modcomp-project.eu/. To pave the way for a single European aerospace conference, 3AF and CEAS decided to join forces to launch the very first edition of the Aerospace Europe Conference (AEC2020). Aerospace Europe Conference 2020, will then feature 3AF 3rd Greener Aviation, CEAS 7th Air & Space Conference and the 8th edition of Aircraft Noise and Emissions Reduction Symposium (ANERS). The Aerospace Europe Conference will be held in Bordeaux, France, from the 25th to 28th of October 2020 and it will be offering scientists and engineers from industry, government, and academia an exceptional opportunity to exchange knowledge and results of current studies and to discuss directions for future research in the fields of aeronautics and space. Individually, each of the three conferences has been proven very successful. In joining the three we expect to be even more attractive, offering additional transversal topics and synergies between aeronautics and space towards a greener and cleaner environment. For more information please visit the official AEC2020 website. Aerodays (European Aeronautics Days) is the leading event in aviation research and innovation, a solid platform to share and review the latest developments in aeronautics and air transport across the European Union. Almost three decades after the launch of this event, its 8th edition features a new and collaborative approach with two integrated events organized in Romania, in May 2019, and Germany, in May 2020, based on a unifying concept: TandemAEROdays19.20, funded by the European Commission under the Horizon 2020 programme. With the objective to reinforce the academic, research and industrial network from all EU Member States, TandemAEROdays19.20 will tap on the diverse expertise and tradition of each participant, broadening the access to all interested parties, from innovative start-ups and resourceful small and medium-sized enterprises to students focused on aeronautical engineering and researchers involved in projects that will shape the future of aviation and space exploration. 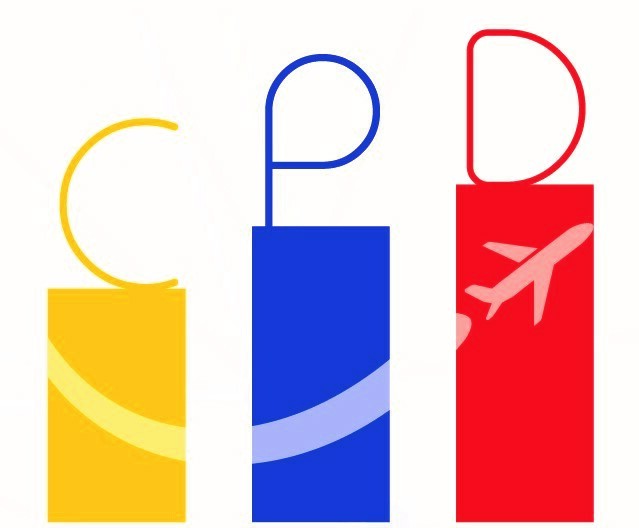 The first event built under the TandemAERodays19.20 concept will take place in Bucharest, from the 27th until the 31st of May 2019, during Romania’s mandate at the rotating Presidency of the Council of the European Union and is aiming to promote regional policies for research and education in aeronautics, to facilitate and encourage the participation of Eastern European countries to a high-level event and to share their expertise in specific areas of industrial competitiveness, taking full advantage of the opportunities fuelled by the enlargement of the EU. The AEROdays event is endorsed by the EASN Association. More information regarding this very interesting event can be found in the official TandemAEROdays19.20 website.